and up in the smaller spot, appropriately above the fray, someone smiling and showing us the way. Chancellor Katehi meet Jim Sochor. Jim Sochor was the beloved football (and golf) coach for UC Davis for 30 years. He was humble and soft spoken. He was a gifted listener and genuine in every way. People responded to his work ethic. His ability to out-perform against more talented and more funded football programs. Mostly, they knew they were in the presence of integrity. Chancellor Katehi, are you listening? and talk to anybody at any time with that shy smile. He was approachable and appreciative. We could feel his authenticity. He was the definition of beloved and admired. Jim Sochor's legacy is a reminder of what an Aggie really is. We know what is valued. finding a way to be the best when the odds are against us. more talented than we were. We had to find a way. And that way was that no one would be closer as a team than we would be. Our central values became trust, unity, togetherness." This, right here, is the way we find our way back. students, they still are -- available right this minute. We can lift the pepper-sprayed pages of our recent history and dive deeper to to our shared history with this man who leaves such a remarkable legacy. He leaves a legacy of love. and we all happily signed up to stand in his sunshine. 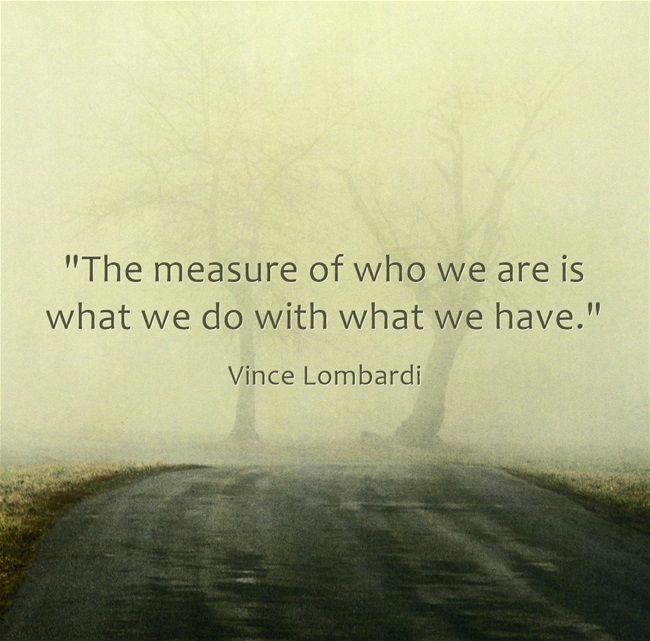 We each get to choose how we spend our days. I choose Jim Sochor's Aggie Pride.everytime. Google Larry Vanderhoef while you're at it. Those two don't need any internet scrubbing. Just a chance to internet shine. This coming Saturday will be a day that we all stop and remember a terrific human. He's deeply missed...his absence so painfully noticeable. But, he crossed our path for a reason. Strive for unity, trust and togetherness. Work hard...and make the magic happen. who had taught music at our school for decades. She was beloved and gifted. She taught the students hymns and songs that were inspirational. She taught the students to play the bells at Christmas. She loved music and she was a professional. Teaching music with a pride and a respect that was mirrored with her singers. He came bearing a guitar, strumming the kindergarteners toward the music room like a Pied Piper. He played so many instruments I lost count. He flowed into Classical music. Mostly, he believed every single kid could become a musician. And so he set out to do just that. 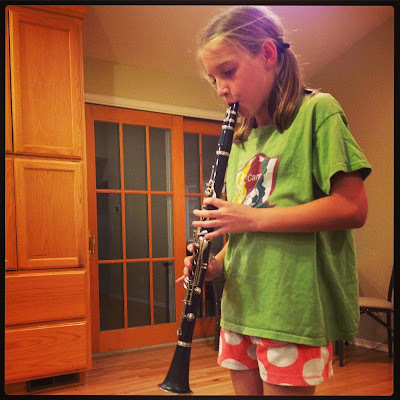 His first motley group of 3rd graders attempted the recorder. They practiced and adjusted and considered learning notes. Meanwhile, he jammed with the kids who wished for a garage band in the upper grades. He guided beginning band kids. He listened to kids who had dreams. 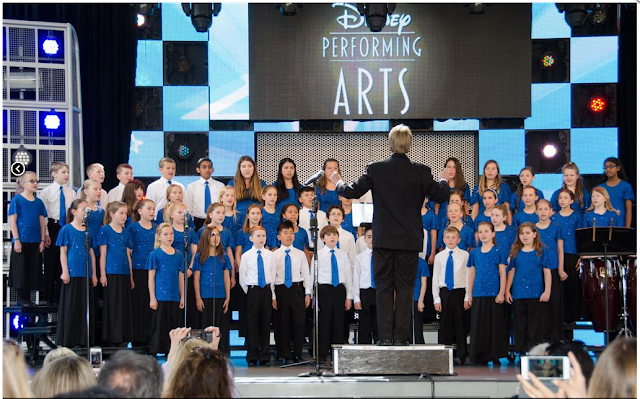 Our students are going to sing at Disneyland. Did he see different kids than we did? Was he best friends with someone at the Magic Kingdom? Pretty sure that you have to be on the A Team to get to do that. But he prepared his students, sent in an audition tape and got accepted. Now, when that is happening at your school, you're happy for those kids. But you're not really sure your kid can be one of those. Our family...we have nice people and we are definitely good fans...but music? Not counting the shower or the car, of course. rent the clarinet and smile. Because I think I know the way this story goes. She's singing in the shower...and around the house. She starts looking up songs online. And we just go with it...because, you know, you never know. and well, maybe your kid can sing in it. So she trots off to choir and brings back candy to sell, and songs to sing and finally a permission slip. It seems that we will be going to Disneyland. Something I could never picture before now enters my line of sight. We make our way to California Adventures. and yes, there they stand. This 4th grader of mine is up there. Singing and harmonizing and holding notes. I've heard her group sing...but this is different. it's a never ending gift that circles back again. 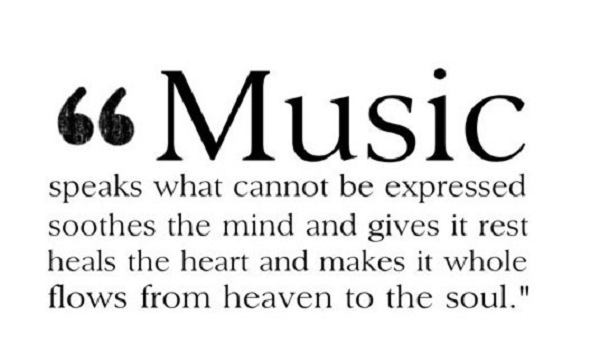 Music builds a bridge -- it can tear down a wall. Share the joy, find a friend. Let your voice be heard...if you dare. and then he handed the stage over to an 8th grader. And Mr. S. -- with all that he has going on -- stopped what he was doing and listened to that song. his choir sang back up for her. these back up students shared the dream too. What kind of teacher takes his shining moment and turns the spotlight onto his student? who can visualize great accomplishments for any child. Who believes in his students. Mr. S. had all sorts of students sing solos. So many had a chance to shine. "What would happen, if we tried? Could we spread our wings...and learn to fly? But Mr. S. will be there. and seeing what's never been. Mr. S., there are no words. sighs of seeing something so beautiful that came to be because of your hard work. but you're also in the business of building. Tonight, I'm grateful for the grace of a musician turned music teacher turned dream maker.